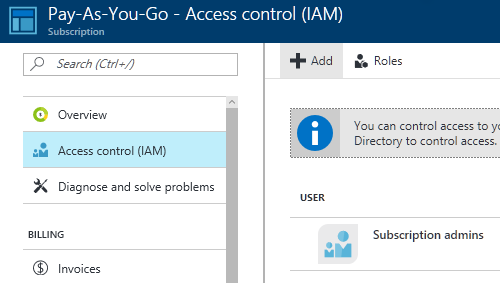 Login to the Azure Management Portal with account administrator credentials. 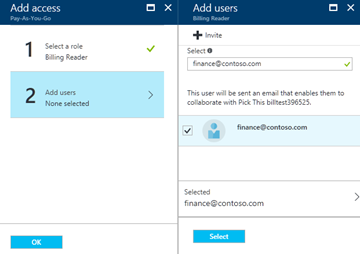 Select the subscription that you want to allow additional users to download invoices. From the subscription blade, select the Invoices tab within billing section. Click on Access to invoices command. 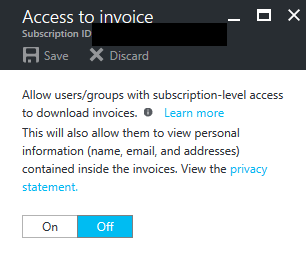 The feature to allow additional users to download invoices is in preview, not all invoices may be available. The account administrator will have access to all invoices. Users who are in administrative roles i.e. Owner, User Access Administrator, Service Administrator and Co-administrator roles can delegate Billing Reader access to other users. Users in Billing Reader can view subscription scoped billing information such as usage and invoices. Note, currently billing information is only viewable for non-enterprise subscription. Support for enterprise subscriptions will be available in the future. The full definition of access allowed for user in Billing Reader role is detailed in built in roles documentation. 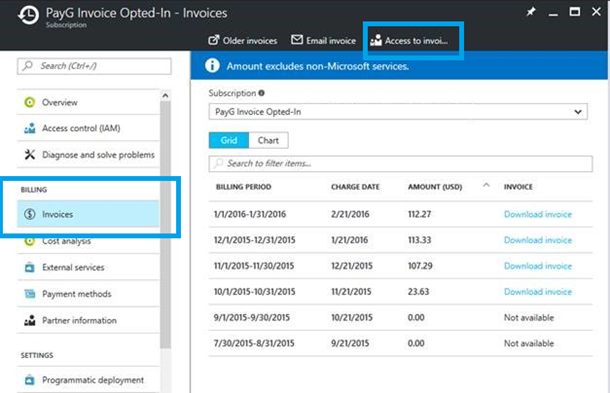 Till now you could only download invoices for your subscription via the Azure management portal. We are enabling users in administrative (Owner, Contributor, Reader, Service Administrator and Co-administrator) and Billing Reader roles to download invoices for a subscription programmatically. The invoice API allows you to download current and past invoices for an Azure subscription. During the API preview some invoices may not be available for download. The detailed API documentation is available and samples can also be downloaded. 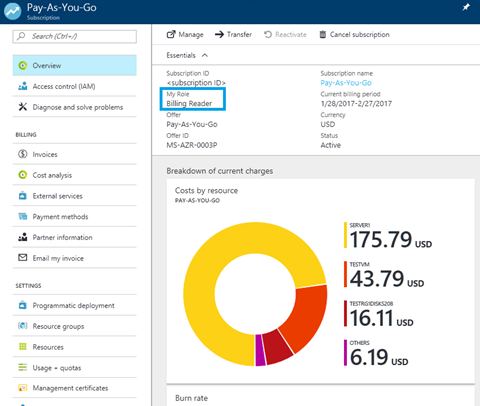 The feature to download invoices via API is not available for certain subscriptions types such as support, enterprise agreements, or Azure in Open. To be able to download invoices through API the account admin has to enable access for users in subscription scoped roles as outlined above. You can easily download the latest invoice for your subscription using Azure PowerShell. In the future, you will see additions to this API which will enable expanded programmatic access to billing functionality.